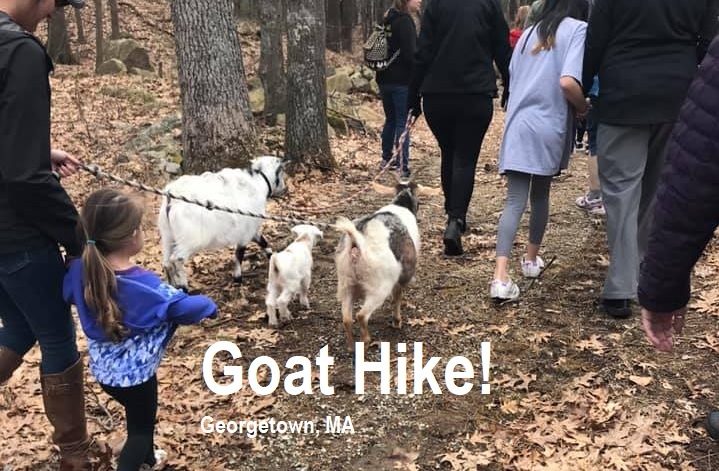 Join us for a stroll in the woods, with goats on leads, as we welcome spring to the farm. These events will include a meet & greet with the goats, new goat kid, Dolly Llama, Dorset sheep, and our baby lambs. Some events will have a theme. We will provide goat treats to each participant and teach you more about goats and life on the farm. The walk will be a little over a mile round-trip on gravel and hilly terrain. We’ll be going at “goat” speed. Wear: Appropriate shoes and clothes for a spring-time farm are required, meaning, wear clothes/shoes you don’t mind getting a little dirty. Tickets: $25/pp, All Ages. Discounted price of $10/pp to attend this event if you’re registered for a summer goat yoga or snuggle classes.